iBLACK Entrance panel with push-buttons. To be used in 2-wire system. 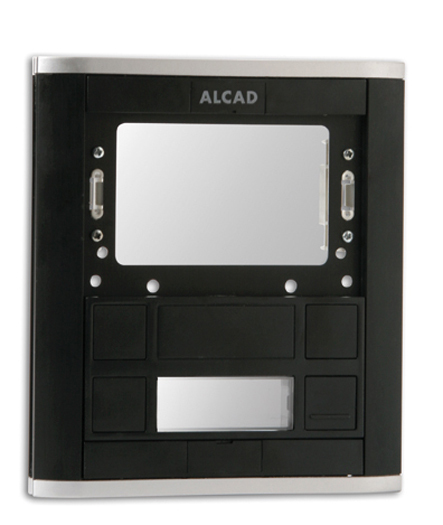 This panel has 1 call push-button and 1 window for entrance panel module. Modular entrance panel system consisting of pushbutton modules with aluminium profile. These modules incorporate either one or two windows to house different upper modules, e.g. module with audio unit, module with video unit, etc.